I needed desperately an Adobe Photoshop in the office but since we don't have an installer I just searched online for a free version. 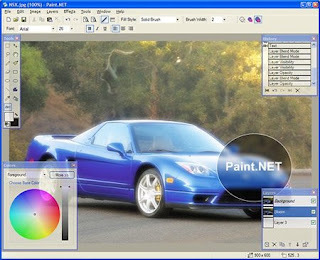 Luckily, I saw this free software which is called Paint.Net. From the way it works, it looks like a lite version of Adobe Photoshop. It has the usual toolbars from Photoshop and I am happy that they also have layers. I still have to look at the Tutorial though. Anyway, here is the link if you want a copy of this free software.